Put away your fangs, vamps. Retract your claws, werewolves. Stop flapping your wings, angels. See a dietician about your bad eating habits, zombies. The original big bad bogeyman is back and ready for a smackdown in your overcrowded Y.A. market – that would be Ripper. Jack the Ripper. In the past year alone, no less than three Y.A. 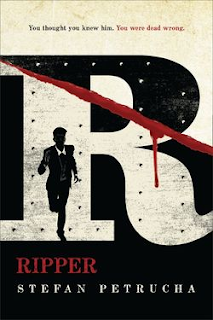 books have revisited the Ripper murders – first, as a modern update (Maureen Johnson’s excellent, The Name of the Star, which is set to be a series), then as a historical retelling (Amy Carol Reeves’ Ripper), and now as a steampunk reimagining of Ripper loose in 1890s New York City in Stefan Petrucha’s Ripper. When two socialites end up dead Ripper-style in 1895 New York City, young NYC Police Commissioner Teddy Roosevelt seeks to assure the public that the killer will be caught – and squash the rumor that it’s Jack the Ripper, as letters written in the original Ripper’s handwriting to the newspapers and police would have them to believe. Enter undercover agent Albert Hawking and his 14-year-old orphaned protégé, Carver Young. Hawking has just recently taken Carver under his wing to train the boy to be a part of the New Pinkertons, a secret detective agency bent on using new gadgetry to help solve difficult crimes. The New Pinkertons have studied the original Ripper murders and letters and believe ol’ Jack is indeed alive and well and recreating his murders to impress someone very important to the killer – his son. His son, y’say? What son?! Why it seems none other than young Carver Young is Ripper Jr. - dun dun DUN!! Before leaving the orphanage with Hawking, Carver manages to sneak into his file and steal a letter his father had sent to him there. Carver can tell from the letter that is father is shady, but little does he know daddy’s the most infamous serial killer on the planet! As the murders continue and tension in the city mounts, Hawking allows the boy to slowly figure things out for himself, so Carver can best decide how to handle the disturbing revelation and help stop his dad. Told in brief but high action chapters (85 to be exact! ), Ripper rips along at a good pace with a fun cast of characters - some real, such as Jack the Ripper, Teddy Roosevelt and his outspoken daughter, Alice, and Sarah Edwards, the crazy cat lady cat killer. Cool gadgets like rudimentary stun guns, one-man elevators, speaking tubes, office periscopes, and electric carriages all make appearances, and Petrucha knows how to keep those plot twists coming – so much so, that I didn’t see the big reveal at the end coming at all…and I’m not completely sure I buy it. That said, it’s a fun enough read and leaves the door open for more adventures for Carver and the New Pinkertons. 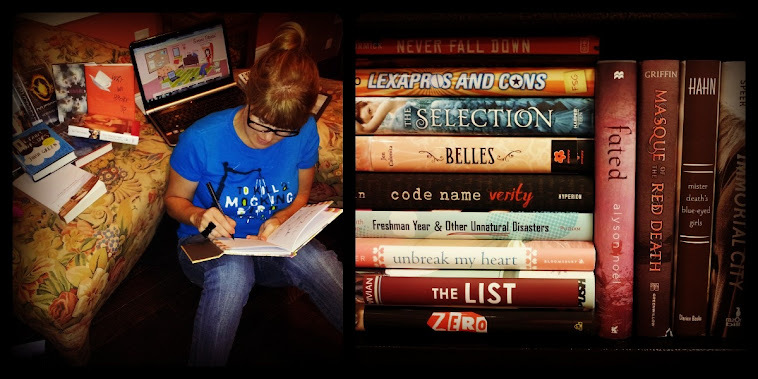 You can learn more about the author, book and view the Ripper book trailer at http://www.petrucha.com/Books/Ripper.htm .